With the kids finally back in school, temperatures starting to cool down, holiday decorations coming into most stores, and of course, pumpkin spice lattes back on the menu, it means that fall is practically upon us, and many homeowners couldn't be happier. Fall can be a wonderful time of year, whether you enjoy all of the various holiday festivities, having the house to yourself more often, the milder temperature, or the fact that those milder temperatures mean that you might finally get to switch off your air conditioning system in the coming weeks. As we move further into fall, you are likely going to find that you have less and less need of your AC, but before too long, it is going to be time to switch your thermostat over to heating your home instead of trying to cool it down. Before your heating system gets switched on for the year however, it is important to make sure that it has the kind of care it needs to ensure it continues to function properly over the long winter months that are just around the corner, and the best way to do so is to make sure that you get your system professionally tuned up right now in the fall, before you actually have to switch it on. There are a number of great reasons to invest in a fall tune up for your home's heating system, and if you are still on the fence as to whether or not now is the right time to do so, read through this short list our team of professionals have put together that might help to highlight just a few of the many benefits you stand to gain by doing so. The winters here can get quite brutal at times, and the last kind of situation that you want to be stuck in this winter is one where you and your family find yourselves without a working heating system in the middle of a cold night. Beyond being a major inconvenience, it can also be a somewhat dangerous situation depending on just how cold it is outside. Taking the time now before your heating system actually goes into use to ensure everything is working properly, and that there are no hidden issues that might cause you a lot of trouble in a month or so when you finally start to switch your heating system on can go a long way in helping to reduce or eliminate the chances that you and your family will find yourself without a functioning heating system this winter at any point. Like any other complicated mechanical device, making sure that you stay up to date with maintenance and get the proper tune ups you need for your home's heating system, as you need them will go a long way in ensuring that your system is around to keep you and your family warm over the course of its life. Most heating systems have a general lifespan of between ten and fifteen years, and most of them that fail prematurely do so because of a lack of proper maintenance. When you put off getting the maintenance that you need for your system, you can start having dirt, dust, and other debris building up in your system, and the added wear and tear this puts on your system can drastically shorten its lifespan over time. Taking the time to ensure that your system is properly cleaned out and tuned up this fall before it has to go into heavy use is a great way to ensure your system lives to a ripe old age, and you don't wind up having to look for a replacement before it's time. During the winter months, you heating costs are likely going to represent a major portion of your monthly energy bills, and if your system isn't properly tuned up, you could be paying a great deal more than you should be in order to keep your home at a comfortable level for you and your family. Any kind of build ups that you might have in your heating system can cause a great deal of additional strain on your system and make it work harder in order to perform its job. Anytime your system has to work harder than it needs to, you are going to see the difference on your monthly energy bills. Don't get stuck paying more than you need to this winter. 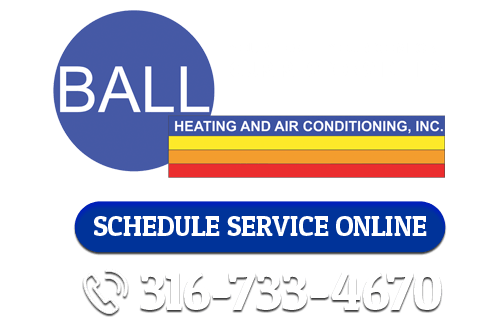 Call us at Ball Heating and Air Conditioning and schedule your fall heating tune up now. If you are looking for a heating and cooling expert in the Wichita area, give us a call today at 316-733-4670, or fill out our online request form for high-quality Wichita air conditioning services today!